The Learning Center contains learning opportunities and pre-recorded webinars currently available to members of the Center. The Center has partnered with MindEdge Learning, a leading provider of online higher education and professional development, to offer their full suite of Management and Nonprofit Management certificates and courses. These on-demand, self-paced courses provide an alternative to the Center's existing opportunities. have been approved for CFRE and / or CEU credits. found the courses effective and easy to use. Members of the NH Center for Nonprofits receive a 10% discount! Check to see if you're a nonprofit, corporate, or individual member and contact Stephen Donahue, Membership & Partnership Manager, for the discount code by emailing sdonahue@nhnonprofits.org or calling (603) 225-1947, ext. 115. 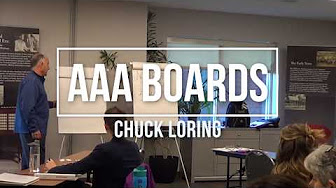 This playlist of videos highlight some of the key points that Chuck Loring covers in his presentations about board governance and fundraising. Most of the clips are under 15 minutes and could be shown during a board meeting to engage your board members in a discussion.